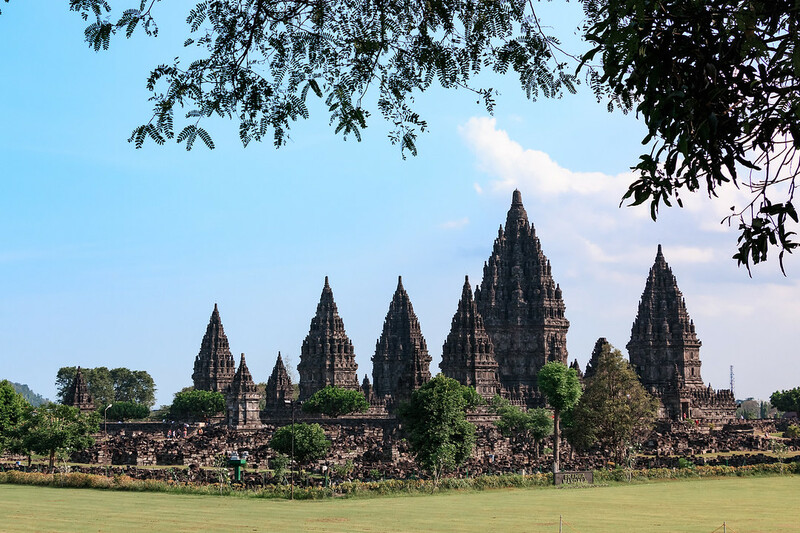 Unesco World Heritage site and world’s largest Hindu Temple, Prambanan temple compounds are located close to the city of Yogyakarta, on Java island in Indonesia. It was built in the 10th century and was dedicated to Shiva. Neighbour to Borobudur temple, Prambanan temple is worth visiting if you stay in Yogyakarta. It’s easily reachable from the centre and you can buy a combined ticket to visit both temples to save some money. 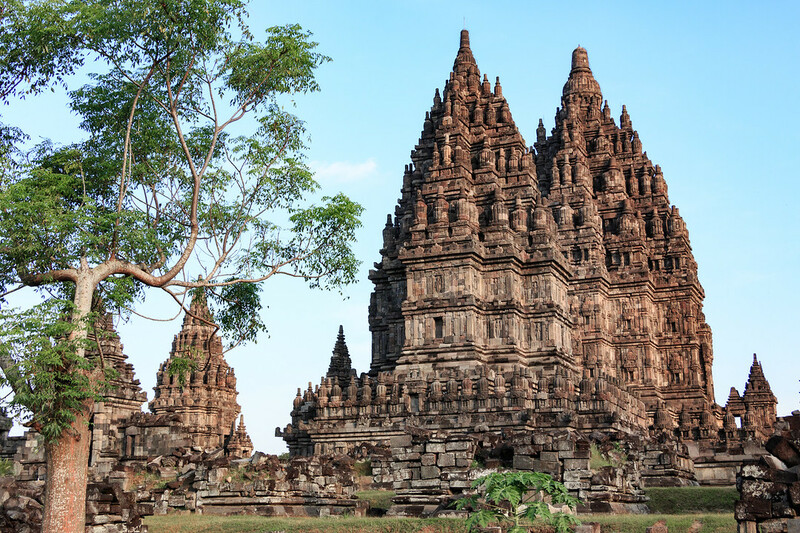 Prambanan Temple Compounds consist of 240 temples located on a 17 square kilometers area. 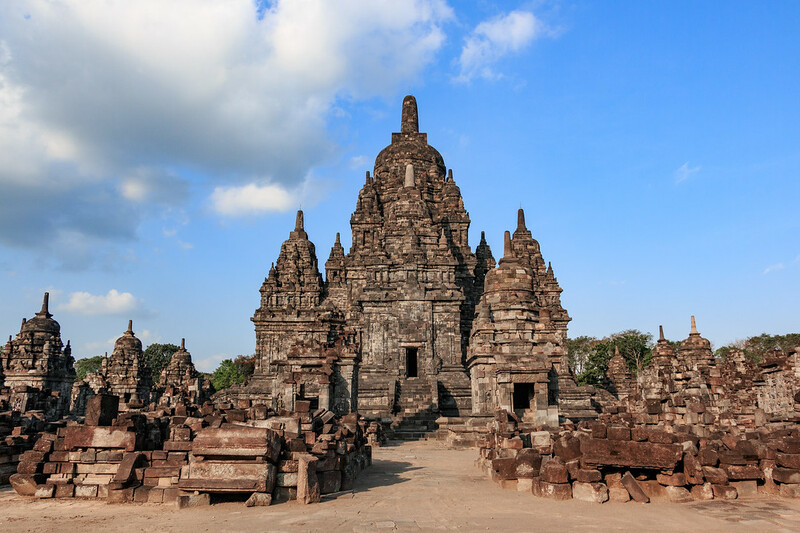 The astonishing Prambanan temple compounds consist of two groups of buildings which includes Loro Jonggrang, Sewu complexes, Lumbung, Bubrah and Asu (Gana). Considered as an architectural masterpiece, this majestic religious building is best visited on a bicycle in my opinion. Visitors can definitely visit the main temples by foot, but you will get less tired if you rent a bicycle. The best time of the day to visit Prambanan temple is most definitely at sunset, when the temperatures are lower and the light softer. 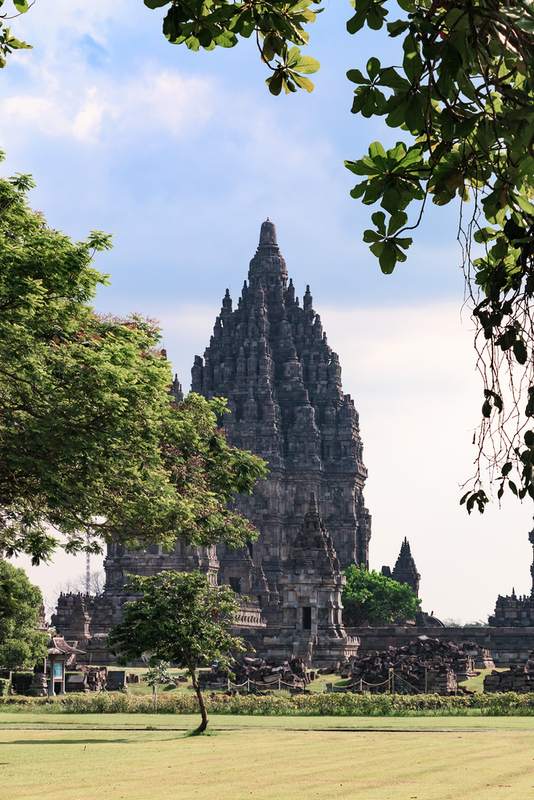 Prambanan temple compounds are composed of several temples so it takes time to visit the whole area. Make sure to arrive before 3pm to be able to visit everything and then enjoy the sunset on Prambanan temple. Check the event schedule for the Ramayana Ballet at Prambanan temple as it’s a wonderful traditional show (it might be cancelled during Ramadan). To get to Prambanan temple from Yogyakarta by bus the best option is to take the TransJogja direct bus from Malioboro. There is a bus every 20 minutes, and it takes about 30 minutes to 1 hour depending on traffic. TransJogja tickets cost 3,600 rupiah for one way. You can rent scooters for 50,000 rupiah per day in Yogyakarta. If you want to be flexible and go to Prambanan temple at your own pace, renting a scooter is your best option. There are many scooter rental shops on Prawirotaman street in Yogyakarta city centre. You can get to Prambanan temple from Yogyakarta by taxi by simply howling one in the street, as long as you make sure they use the meter or that you set up a price with the driver beforehand. You can also hail a becak, order a motorcycle taxi through the app GoJek or even get an Uber ! As per October 2017, Prambanan temple entrance fee is 25$ (325,000 rupiah). To save some money, you can buy combined tickets with Borobudur temple for 40$ (540,000 rupiah). If you are a student, don’t forget to show your student ID to get a discount. Yogyakarta’s hotels and restaurants scene is massive. 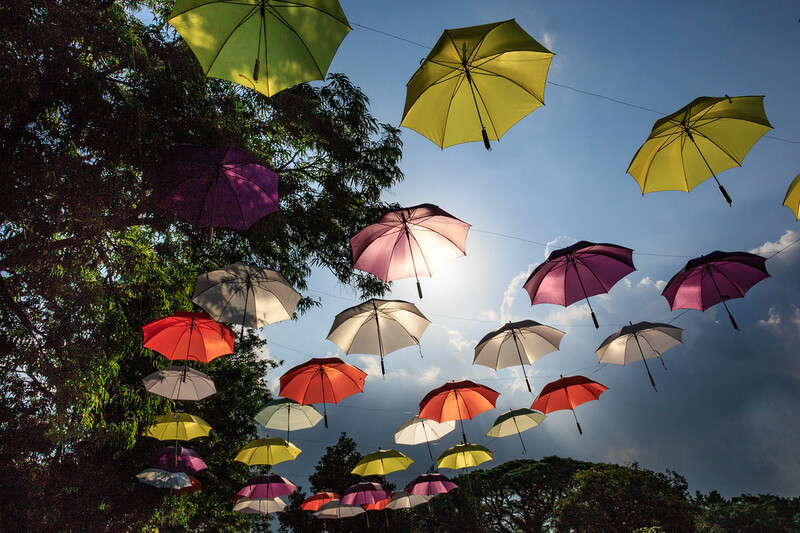 There are many options from budget hotels and hostels to boutique guesthouses and luxury hotels. Check this guide to Yogyakarta if you want to know where to stay and where to eat in Yogyakarta. Do you like my photos ? Did you know you can buy digital and prints on my website ? Well what are you waiting for, check it out ! Don't forget the EXPLORE menu at the end of the vlog, where you can find Violette's pictures, 360 videos, practical blog posts for you to organize a similar trip and other cool stuff ! Learn more : how to use NextGen vlogs.